Kingfisher announces that Steve Willett, chief transformation officer, has decided to retire. Mr Willett's retirement has been planned for some time, Kingfisher said, and follows the substantial completion of several major projects as Kingfisher completes a key phase of its transformation plan, including the three-year roll-out of a unified IT platform. As a result of Steve’s retirement, a new role of chief digital and customer officer has been created, which will be part of Kingfisher’s group executive team. Recruitment for this role is well underway and it is expected that an appointment will be announced in the near future. Mr Willett will oversee a full handover of his responsibilities. As chief transformation officer Mr Willett has played an important role in the development of the ONE Kingfisher strategy and as chairman of Screwfix, the growth of Screwfix. He also drove the development of Kingfisher’s digital and supply chain capability, the implementation of the unified IT platform across Kingfisher and oversaw the development of improved ecommerce platforms across Kingfisher’s major markets, with the launch of new websites at B&Q, and most recently at Castorama France. Mr Willett has held several senior roles in Kingfisher. He steered the growth of Screwfix from 2005 as CEO for seven years and as Screwfix chairman until now. Other roles have included chief digital and IT officer, CEO group development & productivity and various roles on the B&Q board. 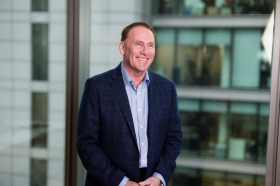 Andy Cosslett, Kingfisher’s chairman said: "Steve has played a vital role at Kingfisher and retires leaving behind a stronger business, with an improved digital capability that will enable Kingfisher to offer its customers innovative new ecommerce and digital services. I would like to offer him my sincerest thanks and best wishes for the future." Mr Willett said: "I have enjoyed a long and incredibly varied career at Kingfisher. I am proud of what our teams have achieved in improving Kingfisher’s digital and IT capability. I am also immensely proud of the growth of Screwfix where I spent many years guiding growth with a fantastic leadership team. It’s a business which remains very close to my heart. It is a real digital leader and a fantastic source of omnichannel expertise for the rest of Kingfisher. We have also recruited some really talented people who I’m sure will continue to drive digital innovation at Kingfisher for years to come. Finally, I would like to thank all the great people I have worked with along the way."